Hurrah, we did it!! Our first time ever to see Disney on Ice. The show was held at the Palace of Auburn Hills in Auburn Hills, Michigan. That's where the Detroit Pistons play. Hubby's been there to see both concerts and basketball games, but I never have, so I was excited to see the venue. It's very modern and spacious, and the seating was nice for seeing the floor. 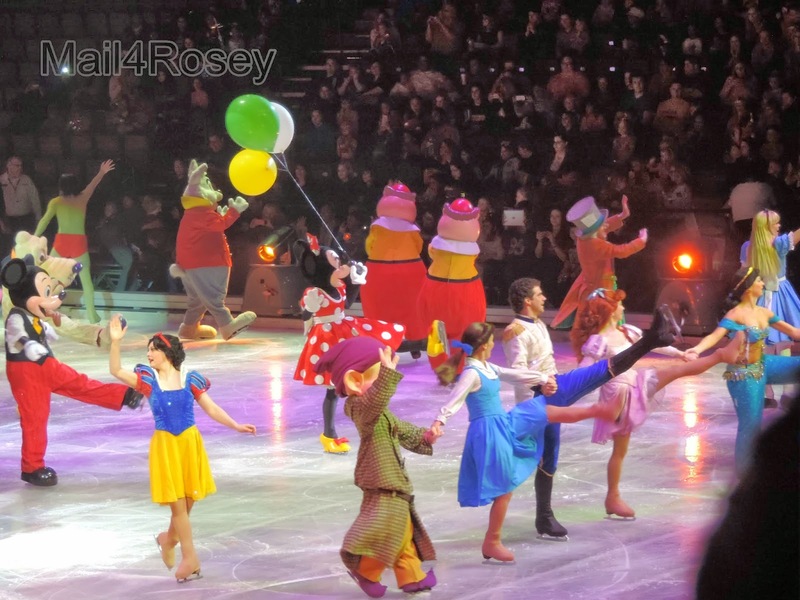 The show was spectacular, as all things Disney are, and had a ton of beloved characters making their way out to the ice. A wide array of favorite characters made their way to the stage! I was very pleased that some of my favorites made it to the floor. You can see the Mad Hatter from Alice in Wonderland in the background (on the right). I loved that role in the Disney movie, and he had some mad skating skills on the floor too. Many of the classic favorites like Pinocchio made an appearance. Some of the Disney Princess favorites. Of course a good number of the beautiful princesses and their princes were there, and they performed some very lovely routines. There was also a segment that took you to different locales. Hawaii was one of the places shown, and it looked just lovely in Disney form even (not that I want to go to Hawaii or anything...yes, I do). A variety of different cultures and countries around the globe were showcased as well. As the stories continued, there were some surprises along the way, which I won't reveal here in case you want to go see the show, but I will say that the crowd roared when the Toy Story gang made their way to the floor. It was a super fun show, very well designed, and the skaters all did wonderful on the ice. That looks like an awesome show. 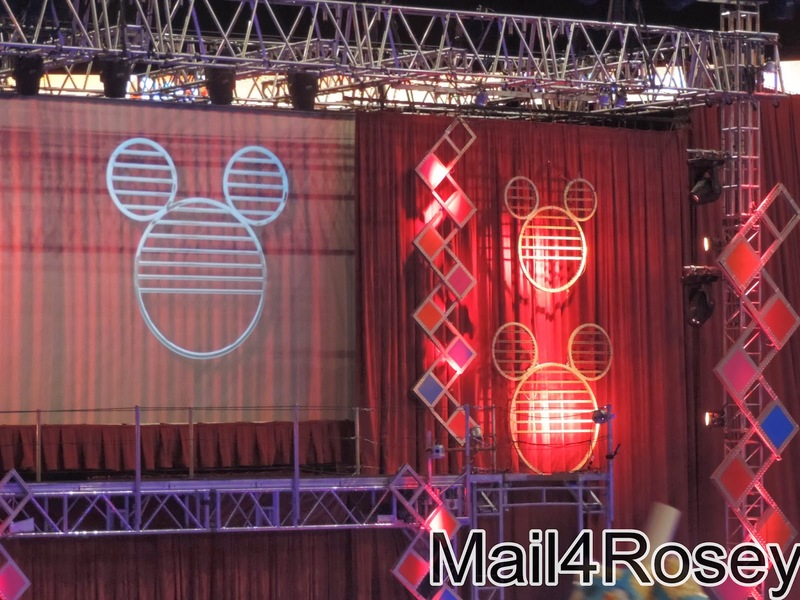 Disney really knows how to put on a good show, though. Glad you guys had fun! So glad you got to see Disney on Ice! It is addicting - we go every year! Fun Time! How fun would it be to go every year! What a neat tradition! I remember taking my Daughter many years ago to an Ice show. It wasn't Disney and I can't remember what it was. How fun!! I'm so glad you made it and enjoyed it! We're going to the 11:00 show tomorrow and it'll be our first time too. (We won tickets-yay!) How long does it last? Just curious-we're thinking of hitting up The Rainforest Cafe afterwards, but still need to be home for Girl Scouts-lol! It was about two hours with the intermission. I didn't know there was a Rain Forest Cafe close by. That was my first time in the area, it was late though for us, and even later since it was a school night (and a loooong drive). Totally worth it to make the late night exception though, and it was fun. :) I know you're going to have an awesome trip, and hurrah for the win!! What fun. Ice shows are always so colorful with all the changes of costumes. Kids get so excited..... great entertainment. Glad you went to it. YAY, how fun! I wish this one would have came to our town, my son wanted to see Toy Story! I am super jealous that you were able to go. I have yet to take my little one. Awesome pics btw Thanks for the share. Yeah! Glad you guys were able to go and that it was a super fun show. It sure looked like it! Great pics! This looks so fun! I've never seen a show on ice before like this, but I've always wanted to. I went to see Disney on Ice when I was young and LOVED it. It was the coolest thing to be amongst my favorite Disney characters! When I was pregnant with the twins we went to see it, and sadly, what I remember most was this really rude guy in the parking lot who roughly shoved me out of the way to get on the bus that was transporting to the parking garage. My oldest enjoyed the show though! I still have never seen disney on ice. Looks like I'm really missing out! How fun that Toy Story characters were there! I haven't ever seen a Disney on Ice show. when is Disney on ice not amazing? I love it!! You got some great pictures and had a great view. We saw it in October and didn't have good seats or a view and missed a lot of the show. What A Amazing Show I Must Take The Family To A Show!! Thank You For Sharing!! It looks so cool!! We have never been but I would love to take my girls. What a fun experience. I think my kids would like it. OMG my daughter would love this! She's obsessed with Mickey and Minnie. We'll have to check it out. What a super FUN time for the family! I do not think anyone puts on a better live family show than Disney. I wish they would come to my area! I have been wanting to go to a Disney on Ice show for a long while now. Looks like you had a spectacular time! I see they are coming to my area at the end of April. I will have to check it out. It has been a long time since I have seen Disney on Ice. Looks like they had another great performance this year! I used to go every year when I was younger. I would love to go again, I just don't have the time! awesome! I have always wanted to take my kids to Disney on Ice! Looks like so much fun! My girls want to see this when it comes to town, maybe we will. It looks great. My mom spent the bulk of The Olympics speculating what those skaters did when their Olympic careers ended. I should tell her that they perform in shows like Disney On Ice... of course. My kids would have been all over Disney on ice when they were younger. It looks like you all had a wonderful time. I always enjoyed going to Disney on Ice when I was young. I take my kiddos every chance we get because they enjoy it just as much as I did when I was growing up. I took my older two when they were super little, would love to go back. Looks like a great show! I've been wanting to see Disney on Ice it looks so fun. Lucky you! Looks like so much fun! I will have to be sure not to miss them when they come into town next year! Disney on Ice is always such an excellent show. I saw it years ago and would love to go back. I have heard so much about it! Looks really amazing! Wish we had it here too! Looks like it was quite a show. So awesome! I saw this as a kid and still have great memories. I used to take my Girl Scouts to see Disney on Ice every year. It was always a great show and the girls always loved it. I've always wanted to see Disney on Ice. I keep waiting for them to bring a show to a city near me! LOVE Disney on Ice. This looks like a ton of fun. Great pics! 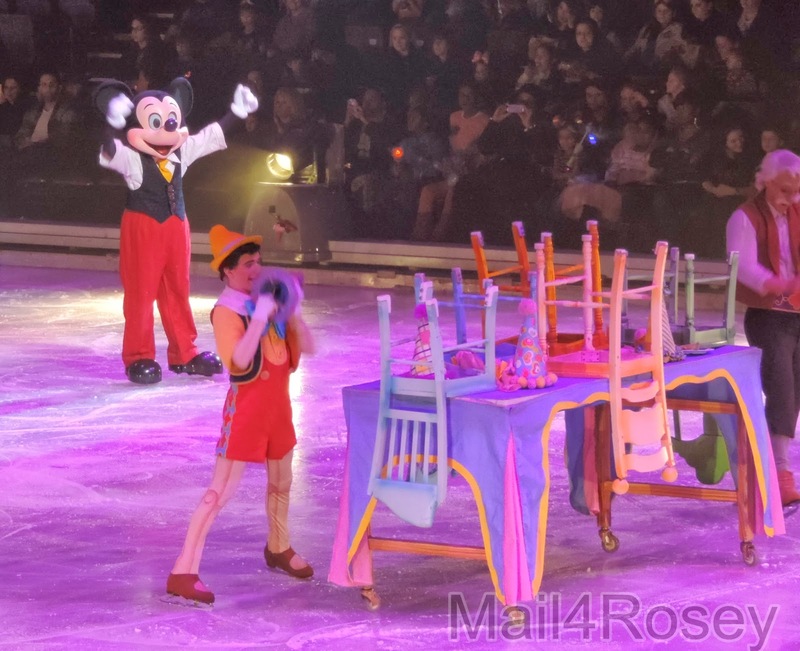 We love Disney on Ice, they put on such a beautiful show that it really is good for the entire family. I am glad you got to go see one. I have to find out if this show is coming to my area because my kids would be thrilled to see it. Oh this looks so wonderful!! 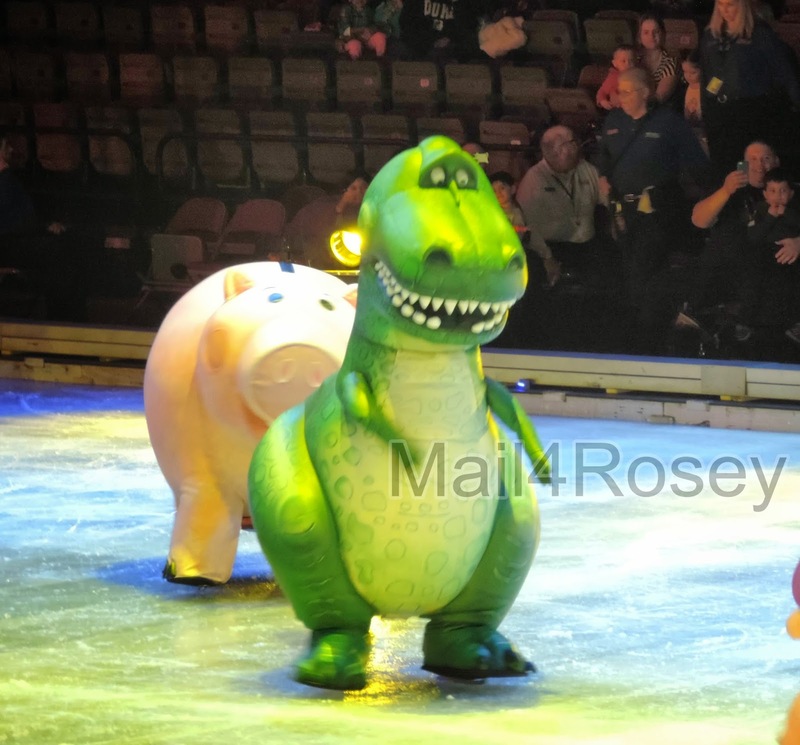 I'm most excited to see the Toy Story cast in the Disney on Ice Treasure Trove that I'm going to see in May! Great photos, you had very good seats! Looks like a great show! I remember going as a child but boy they have changed, I would love to take my kids! I have been wanting to see this for a while now and i know my kiddies will love it.Looks like you had a great time thank you for sharing. My children would love the show! I never knew they had Toy Story in the show too, we will have to make sure it is on our US itinerary. Looks like you guys had a great time. I'd love to see something like this sometime. It does look spectacular indeed but I guess it's supposed to, we're talking Disney after all. I could use some fun time with my daughter right now, I feel a bit trapped with all the work I have to do. I think they are coming here soon. I need to see if my daughter would like to go as we have never been to a show. I just missed Disney on Ice when it came through. Looks like a great show. Oh, it looks like so much fun! We took our kids years ago and had the best time. I remember going to see Disney on Ice when I was little. I can't wait to be able to take the boys. Disney on ice is so much fun. My kids love going there and seeing their favorite characters. I'm loving all your pictures. 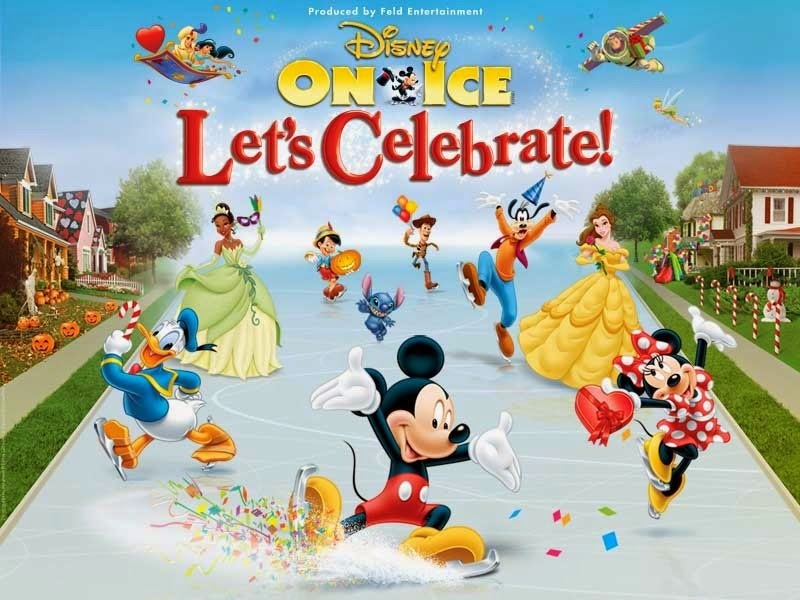 My kids would love to see DIsney on Ice. The show is spectacular! I really like seeing the colorful pictures and want to go see them again. I like the characters and all the fun that I have with my family watching. We have yet to make it to a Disney on Ice show, but I am hoping to next year. Looks like it was so much fun, I bet the kids had a blast! I've always wanted to go to Disney on Ice. This looks so fun! I have always wanted to visit Disney on Ice when it comes local. Now I see it looks fabulous! 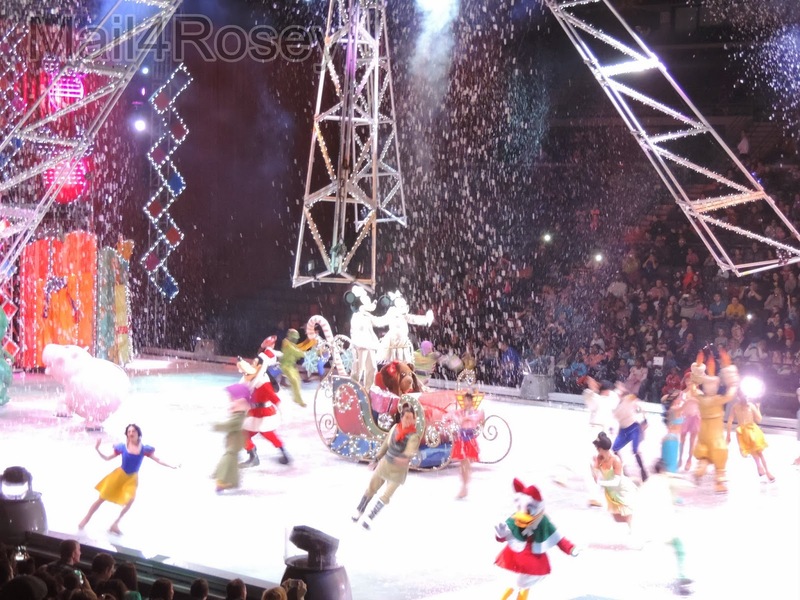 I've never seen Disney on Ice but we have attended Disney shows and our boys had a wonderful time. I'm sure that made for a night full of memories and fun! Amber N.
Love Disney on Ice! I need to take my son again to see it! Looks like a fun night! I loved going to Disney on Ice when I was a kid. Can't wait to take my youngest niece for the first time! 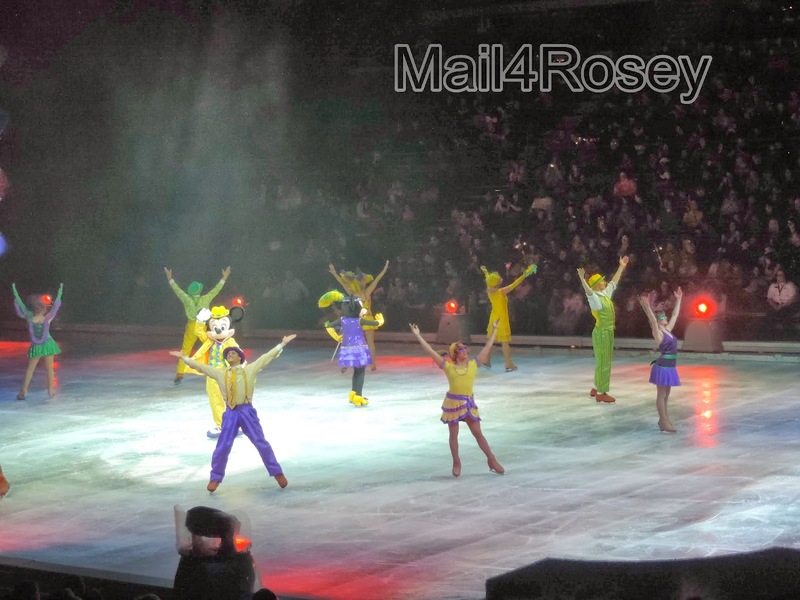 We went to Disney on Ice last year with out 4 year old. He loved it and so did we. 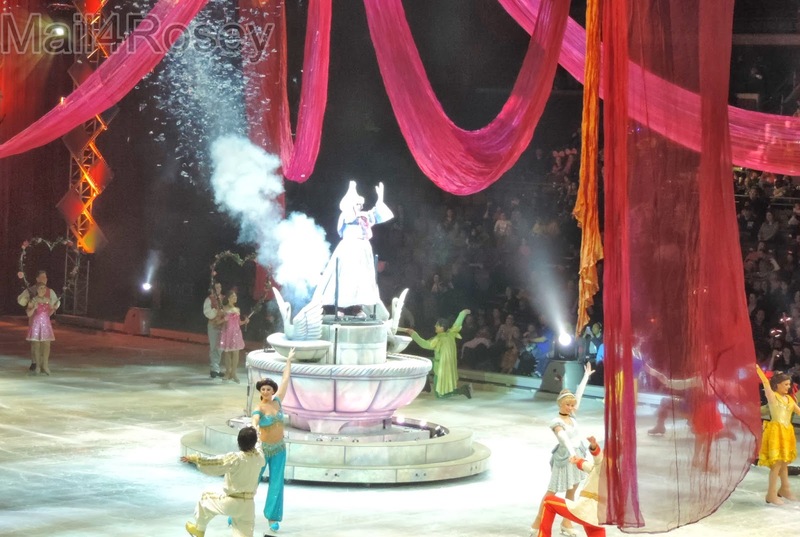 We have been to a few of the Disney On Ice shows and have enjoyed them. Disney on Ice looks like so much fun. I'd love to go sometime! I remember going to Disney on Ice as a young child. I got picked from the audience by Snow White to come out and participate. It was a great moment in my childhood. Oh, I can still vividly remember how my daughter used to be a huge fan of Disney on Ice. She feels she has outgrown it, though. But I still am enchanted by it. We enjoy going to events like this. From your pictures it looks like it was a blast! I've been hearing soo much about this! What a fantastic adventure!